Law students were pioneer in the matter of internship. Internship is a rather new phenomenon here. There are a few professions in which there is mandatory internship – like to become a doctor you must intern at the end of medical college. However, rest of the students did not intern at all - and certainly not during each summer and winter holidays. It was only in 2012 that internship has been made mandatory for engineering students. Law students, however, especially those from top National Law Universities, have been taking internships very seriously since ‘90s. Law students doing 5 year courses end up doing even 10-15 internships in 5 years. They realised that internship is a great way to quickly gather professional experience, test out various career options and impress potential employers. They intern for up to three-four months every year. This, of course, made a huge difference to their career. 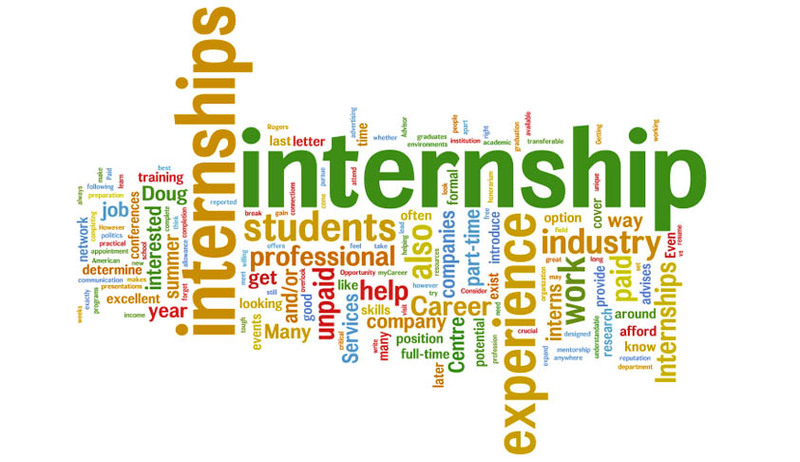 In a way the experience of law students with internships led to a widespread interest in internships for students of all streams. For a long time, it was only the students of a handful of colleges like GLC Bombay and National Law Schools who interned – but majority of the law students remained ignorant of this opportunity. The students who interned prospered – and it was quite easy for them to find internships compared to where things stand now. These days, tens of thousands of law students are looking for internships during two or three months each year, simultaneously – making the whole thing very chaotic. 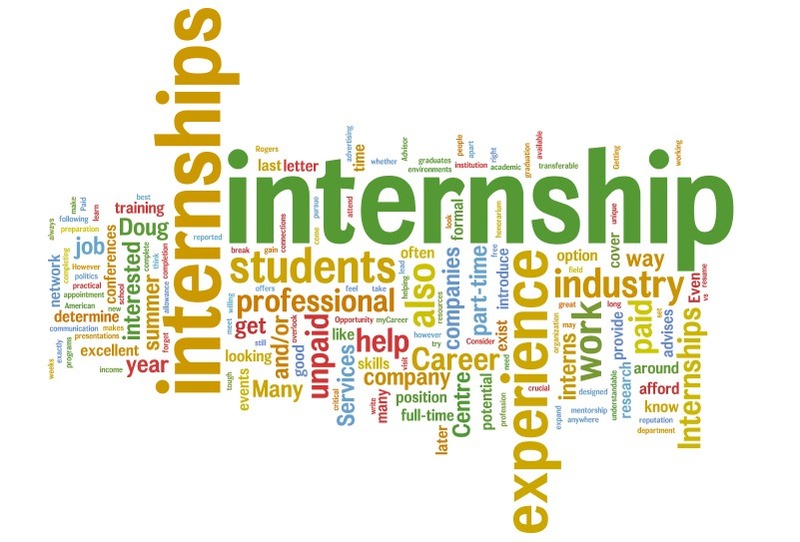 When law students apply for internships, as a result of the chaos they do not hear from the employer in most cases – not even an acknowledgement. So what they tend to do is this: the make a generic cover letter and a CV, and then send it to every place they can think of. A lot of times they send it to all sorts of employers in CC. This is unbelievable but true.Despite being a start-up education company which is not the dream career destination for law students, we get hundreds of applications for summer vacation or winter vacation – although we can take only 2-3 interns. It is difficult to even process all these applications in a fair and transparent manner. However, what is appalling is not the number of applications we receive – but the quality of the majority of these applications. There is no way we can hire most of them, as they clearly do not know English, they write the most inappropriate things in the email and just make a fool of themselves. I feel worried thinking that many of these law students will soon become lawyers licensed to practice in India. Some of these applications are just a CV attached to an email without even a subject. Some have a copied template – which is lifted without consideration to the place where one is applying for internship. More than 50% of applications we receive seem to think that we are a law firm – whereas we are an online legal education business. Even visiting our website URL – which is a part of the email id itself, would enable them to write a relevant request for internship, explaining what they can contribute to our work. However, it is evident that these students are not doing this basic research before applying, which reflects very poorly on their professionalism. “From my interactions with my seniors and my research online, I have come to understand that your firm specializes in all aspects of general litigation amongst other matters including recoveries, contractual disputes, consumer complaints, restrictive trade practices, white collar offences and cross border arbitrations. I have studied most of these subjects at Law School. Although the knowledge I gained has been immense, it is only an internship that can offer me practical training in the field. I believe that an opportunity to intern at your firm will give me an opportunity to explore the field in practical action." When we see this in an application to an education business which have nothing to do with litigation etc. it makes us wonder not only about the stupidity of the person who wrote the application but also about the attempt of deception – if we were actually a law firm, by chance, as the applicant was hoping, we would have been misled to think that he actually researched about us, asked his seniors about us etc. – which is a blatant lie. This person did not bother to find out where he is applying – he just found a database of email ids and started spamming, claiming in the text that he did deep research before applying. I shared this incident on my Facebook wall – and got some interesting responses. A top investor of Indian origin in the Silicon Valley commented that he received similar emails. According to him, this is equivalent of the Nigerian Scam, where scammers pretend to be estranged daughter or son of a murdered politician offering you free money. Another lawyer pointed out how lawyers are used to copy pasting – even when they prepare petitions for courts. Seems this is quickly becoming a habit – to copy paste without discrimination. As if there is no value in what you write – it is just a mere formality – and if you are lucky internships and job interviews will anyway come by! This is a dangerous trend. What this means is that law students are not able to even write an original mail on their own – even when they desperately need an internship. What does this say about their education? What does it say about our country that these people will be given the license to practice law a few years down the line? I received another comment on my Facebook - a law student told me that I am discouraging law students instead of encouraging them. Apparently it is my duty to email each of these people sending these spam applications and teach them how to apply in correct form instead of publicly talking about this. Note that I did not disclose anyone’s identity. The funny thing is that I have even tried writing back to these spammers and scammers whenever I had the time to do so - and the result was shocking. Most of the students who wrote ridiculous applications in the first place wrote back arguing that they did the right thing – and I should just give them an internship instead of being so particular. Some even told me that they have received other internships with the same template, so there could be nothing wrong.Are these the kind of people any organization will want to hire? Some law students even misrepresent their year of study; marks obtained and rank in class. Rather than doing these dubious things, if they focussed on learning how to write a good CV and cover letter, they would do much better! I myself have written several articles about how to design a CV and how to write a good cover letter. There is enormous amount of resources available on the internet if anyone wants to learn how to go about this – but apparently students should be spoon fed in their college – otherwise they have a right to write sub-standard, deceptive applications! The real world is a hard, unforgiving place. A busy person would not spend more than a few seconds with your CV and application – they just don’t have the time. If your CV or cover letter does not stand out in those few seconds, you will not get a second chance. If your application is copied or spammy, you get automatically rejected at the best workplaces, and may even get blacklisted for spamming. You will not hear back from them. Only people who would still bother to hire you are those who are desperate for interns because they don’t get any. I do receive awesome applications too. However, the percentage of such applications is really low! Which means, your chances of getting a good internship is really high just if you do things right. Writing a good CV and application takes time, but just a few hours may be. You should be able to spare that much time and effort. Excuses will not take you anywhere. Spamming and scamming is terrible idea if you want an internship, or even a job. What else then can you do? Come up with a base CV – but remember that every time you send it, it should be customized according to the place where you are going to apply. As is obvious, one should not send the same CV to a law firm and a policy research organization. Write a base cover letter – write your own rather than copying a popular template. This at least shows that you can write in your own language. You will make changes every time you send this out – reflecting genuine knowledge about the organisation, how you think you can contribute best and why you chose this specific organisation. It will take some time to write this email – but it is your best chance to land an internship you really want. Apply to the places of your choice one by one. You can have a target of applying to two places every day - and set aside one or two hours a day to do this. If you follow this advice, soon you will be very adept at writing good internship applications – and land all the dream internships and later the jobs you want!